During the first half of 2018, The Lady and the Unicorn tapestries were on loan from the Musée de Cluny - Musée national du Moyen Åge to the Art Gallery of NSW. I bought a multi-pass ticket so that I could return as many times as I liked. I managed to fit in three visits in five months. Little is known about their provenance, which simply adds to the mystique and intrigue surrounding these splendid tapestries. Commissioned by an unknown member of the Le Viste family around 1500, the tapestries were rediscovered in 1841 in the Château de Boussac, a small castle in Creuse in central France. Their condition had deteriorated, and it was recommended that they be purchased by the state. the tapestries were made at the very moment of transition from the Medieval period to the Renaissance, but they continue to reveal a poetic medieval world of the senses, the spirit, romance, chivalry and morality. The tapestries have inspired artists, writers and poets down through the ages, including novelist George Sand who contributed to their fame by writing about the ‘curious enigmatic tapestries’ in her 1844 novel Jeanne. The tapestries were also described in detail by the narrator of Rainer Maria Rilke's novel The Notebooks of Malte Laurids Brigge. Quotes from the book lined the entrance to the exhibition space. back and look at them, all together. No one really knows what the meaning or intent was behind the tapestry design. Were the women based on real people? The Le Viste family coat of arms features in each one and the choice of animals was probably very symbolic. One of the widely accepted interpretations involves the use of the five senses as an allegory with the sixth frame representing the soul and morality. A tent has been erected. Blue damask flashed with gold. princely garment. For what are those pearls by her side? And have you read the inscription at the top of the tent? You can see it says 'A mon seul desir'. She is weaving a crown, a small round wreath of flowers. here; but on the right, the unicorn understands. at the bottom, why can we immediately see that he is leaping? is holding the banner, or is she holding on to it? With her other hand she touches the horn of the unicorn. She's feeding a falcon. See her magnificent garment! The bird is perched on her gloved hand, and is moving. as if caught in the rolling waves of music. leans on her lap. It is a mirror she is holding. Do you see? She is showing the unicorn its reflection. Two more recent novels referenced the tapestries, Rumer Godden's 1938 novel The Lady and the Unicorn and The Lady and the Unicorn by Tracy Chevalier (2003). Chevalier's story is a fictionalised account of the making of the tapestries. Between my second and third visit, I read Tracy Chevalier's The Lady and the Unicorn. It inspired me to focus more on the smaller details within each frame. According to Chevalier, the background detail was most likely designed by the weavers themselves; only the main picture would have been created by a commissioned artist. Zooming in on individual creatures and plants only increased my appreciation and admiration for the work. I felt so sorry for the woman in this particular tapestry. She looks so sad - resigned with a sense of hopelessness. While the unicorn looks smug and self-satisfied! 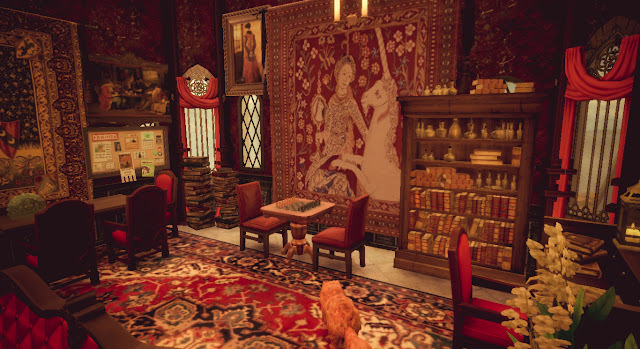 And one curious little titbit I picked up along the way was that several of the tapestries can be seen hanging on the walls in the Gryffindor Common Room in the Harry Potter movies (below). This is my creative, artsy post for Paris in July. I've also created a French Spotify play list. It's called Brona's Paris in July if you'd like to follow or make suggestions. Absolutely beautiful photos and commentary! I wish we could have seen the back of one of the tapestries - not only to admire the weaving, but apparently the colours are far more pure and rich on the back thanks to less exposure. Thank you for the beautiful post! We have loved the unicorns for many years, and on every visit to Paris we always go to the Musee de Cluny at least once (except for a couple of recent trips when it was being remodeled). I appreciate the inclusion of the poetry, and all your beautiful photos. 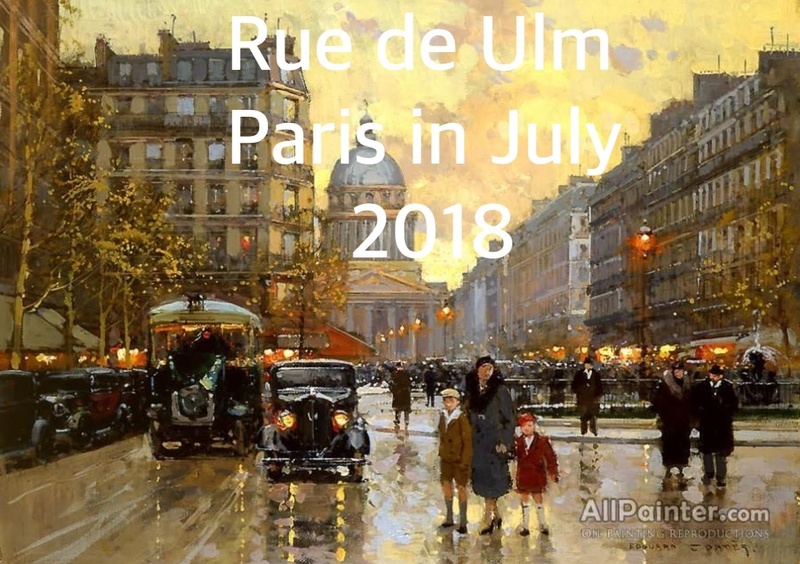 I'm looking forward to your other Paris in July posts. I'm a lapsed cross-stitcher. Obviously this is a different form of work, but I'm beginning to feel the stirrings of longing to run a needle of coloured thread through a piece of fabric again. Lisbeth also inspired me with her creative bookmark work for Paris in July. Perhaps I can try to do some fleur-de-lis or the little dog? I was so thrilled to see these at Cluny a number of years ago. But my camera and/or the lighting was nothing like yours and my photos rather dismal. Yours are fabulous. I really appreciate the history and all that you included. They're special, aren't they? Such masterpieces. Curiously I only use an iphone for most of my photography nowadays. It allows me to get so close and play with angles, light & shadow in a way I've never mastered with a regular camera. Apple run courses on how to use your phone's camera to it's best advantage - I've been meaning to do a couple of them. Wonderful photos, wonderful poem and you have put it together so perfect! Thank you. I will go back to read the poems in more details and look at the tapestries. I have read Tracy Chevalier's fictional story of the tapestries, but did not like it as much as a Girl With A Pearl Earring. I'm not sure I would have enjoyed the book half as much as I did if I hadn't seen the tapestries up close and personal. The poem and quotes gave me the idea to take macro shots of various details. I'm glad I did, as they brought out sooo much extra detail when I transferred them to my pc and enlarged them. I was thrilled! I enjoyed your post so much. Wonderful photos and information. I love tapestries, and I love your close up photos that show all the detail. Thank you it was a truly magical exhibition & I'm so glad I had the chance to go back several times....it gave me plenty of time to flesh this post out properly. Visiting from Tamara's blog. I visited the Art Gallery of NSW recently but didn't buy a ticket to the Lady in and the Unicorn exhibition. Now I wish I had, because the tapestries are just awesome. 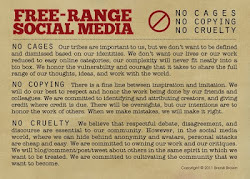 You've got a great post with the poetry and all the information. Some of the exhibitions cost so much and the lines can be so long, but I happened to go very early in the cycle for this one and decided to try the multi-visit pass for the first time to see if it would encourage me to return - it did! It also gave me time to research and learn more before returning so that I could look for different things.